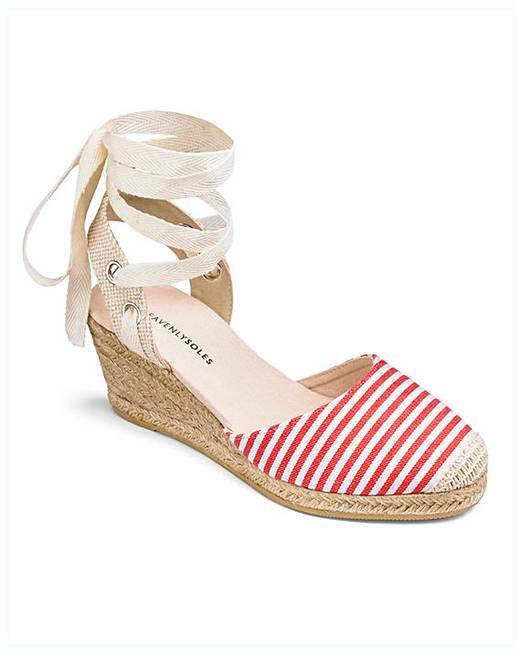 Leg Tie Wedge Espadrilles EEE Fit is rated 4.0 out of 5 by 4. 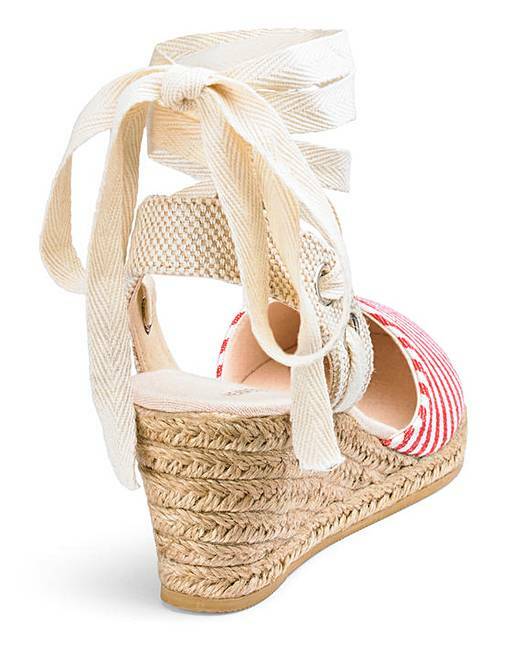 These lace up, closed toe wedge espadrilles from Heavenly Soles are a summer classic and holiday essential. 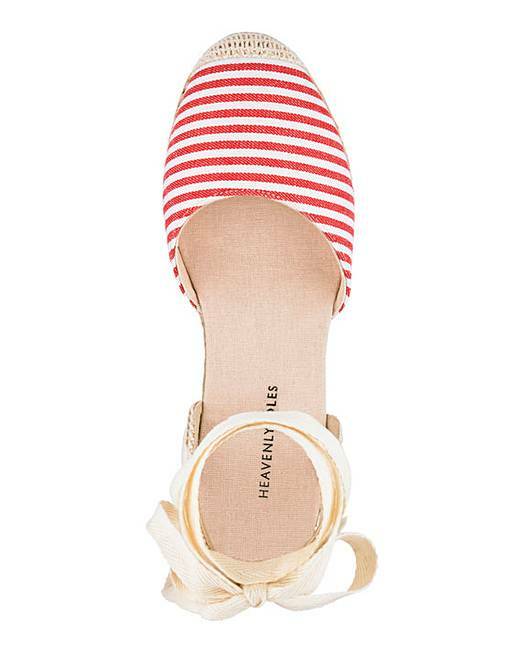 Cool and comfortable, and available in a choice of stripe colours. Upper: Textile. Linings and sock: Textile. Sole: Other materials. Rated 3 out of 5 by Nikki7 from Gorgeous I bought this item in blue , looks beautiful online and even better when it came but it was a narrow for an extra wide in size 7.I would still recommend this product. 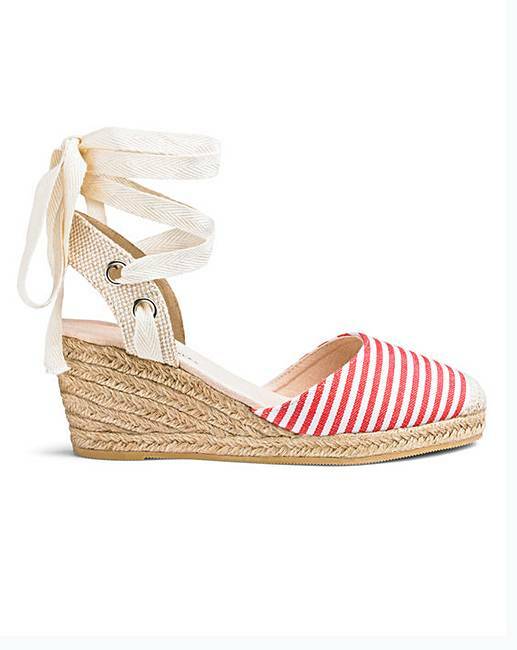 Bought for my mum in red and it looks gorgeous.